If you enjoy watching legal dramas or crime shows, you’ve probably heard the phrase “statute of limitations” come up. But what does this phrase mean? 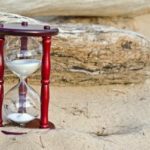 The time limit (statute of limitations) is different and specific depending on the type of claim. It could be as little as six months, or as long as several years. 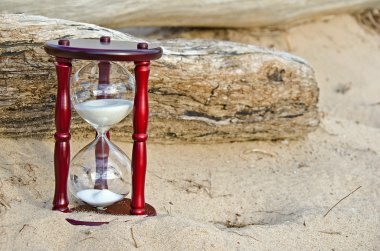 Statutes of limitations are obviously important to know about when filing a Complaint, since a plaintiff should make sure to file within the correct deadline(s). But sometimes a plaintiff is permitted to correct or amend their Complaint at a later point in time, even after the relevant statute of limitations has “run” (i.e., after the deadline has passed). So what happens then? If a plaintiff is permitted to amend their Complaint after the Statute of Limitations has run, sometimes Utah courts will treat the amendment as if it had been filed on the day the original Complaint was filed, rather than on the date the amendment was actually filed. This is called “relating back.” Whether Utah courts will “relate” an amendment “back” to the date the original Complaint was filed depends on a number of factors. 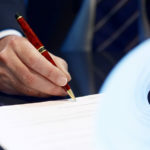 For example, a Utah court will “relate back” when the amendment involves a claim that resulted from the same conduct, transaction, or occurrence referred to in the original Complaint. For example, if a plaintiff files a Complaint against another person with a claim for assault, but later learns that the person’s conduct was actually considered battery, the plaintiff’s Amended Complaint will likely “relate back” to the original filing date, because both the original assault claim and the new battery claim are based on the same incident. 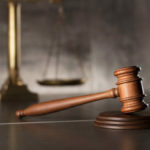 In a 2019 Utah Supreme Court decision, State v. Noor, a Utah inmate filed a Complaint claiming that he received “ineffective assistance of counsel” at a previous trial in a different case. Later in the case (after the statute of limitations deadline had passed), he amended his Complaint. The amendment still included a claim for “ineffective assistance of counsel,” but relied on slightly different reasons than before. Instead of supporting the claim by saying the previous attorney had done A, B, and C during the trial, the plaintiff now focused on how the attorney had done X, Y, and Z at the trial. The defendant argued that the plaintiff’s lawsuit should be dropped because the amendment was filed after the statute of limitations deadline, and shouldn’t “relate back” because it didn’t refer to the same conduct referred to in the original Complaint. The Utah Supreme Court agreed with the plaintiff. It found that even though the amended Complaint talked about different specific conduct exhibited by the previous attorney, it was still essentially talking about the same conduct: the previous attorney’s actions in a specific trial. Therefore, the amended Complaint “related back” in this particular situation. An Amended Complaint may also relate back when it includes a new, but now correct, party to the lawsuit. For example, Mary falls while shopping at Neighborhood Grocery Store due to the store’s negligence. She files suit against Neighborhood Grocery shortly before the statute of limitations expires, but later discovers it’s actually owned by National Grocery Chain. She amends her Complaint to remove Neighborhood Grocery as the defendant and replace it with National Grocery Chain. Mary’s amendment will likely relate back as long as National Grocery Chain knew that Mary intended to bring suit against it but was mistaken about the proper party name, and as long as National Grocery Chain will not experience prejudice. To better understand these and other statute of limitations issues and how they apply to your situation in Utah, it is always best to speak with an experienced Utah attorney.